The holiday season is here, and your dealership can take advantage of the most wonderful time of the year. With the year-end season leading to increased traffic and sales opportunities, there are many ways your store can work to meet annual sales goals. A majority of retailers enjoy the most success around the holiday season, and your dealership doesn't have to miss out on the holiday cheer. Get Your Store Looking a Lot like Christmas – Spruce up your store and make it more festive with some holiday décor. String up lights, get a giant tree, put big bows on vehicles, and display red, white, and green cars on your showroom floor. You can also usher in the holiday spirit by offering hot cocoa and Christmas cookies instead of your normal complimentary snacks and beverages. Creating this warm and inviting environment can boost employee morale during the season, too. Promote the Good Tidings of Manufacturer Incentives – From Lexus' December to Remember to Honda's Happy Honda Days, we all know that most automakers heavily promote their holiday campaigns around this time. Franchised dealers can get in on the action by further promoting these sales with posters, website displays, local advertising, and online marketing. Make the Website Merry and Bright – Because your website is the first touchpoint for the majority of customers, it helps if it's also dressed for the season. Have the creative team display some holiday-themed banners, artwork, or graphics, and update pictures to those with a seasonal spin. Maybe you can showcase those vehicles with Christmas colors and bows on your showroom floor, or a shot of your dealership dressed for the holidays. Don't forget to put holiday deals and incentives front and center. Have Yourself a Merry Little Holiday Marketing Plan – You can plan out your Christmas, New Year's, and other general end of the year promotions by incorporating holiday season touches in your marketing efforts. It's a good time to increase your online marketing with ads promoting holiday deals. Your store could also do a holiday-themed direct mail campaign. Try sending out a holiday card featuring your staff or store decorated for the season and include a coupon for service and/or a list of the current deals. Tis the Season for Giving – Bring out the holiday spirit in your staff and customers by holding a toy, food, or clothing drive at your store. You could offer a special incentive to anybody who brings in the items you're collecting, whether it's a certain amount off the price of a vehicle or a discount on service. Or, you could run a promotion where you donate a certain dollar amount from each sale to charity or a good cause. However you do it, your customers should feel good about the fact that their purchase is helping others. What a Bright Time, it's the Right Time to Utilize Social Media – The holiday season is also a great time to have some fun across the many social media platforms. Your store could host a holiday-themed contest where you ask your followers to submit photos with a special hashtag – think ugliest holiday sweater, best decorated Christmas tree, or funniest family holiday picture. Your staff can vote on the winner and give out a fun gift such as concert or game tickets. 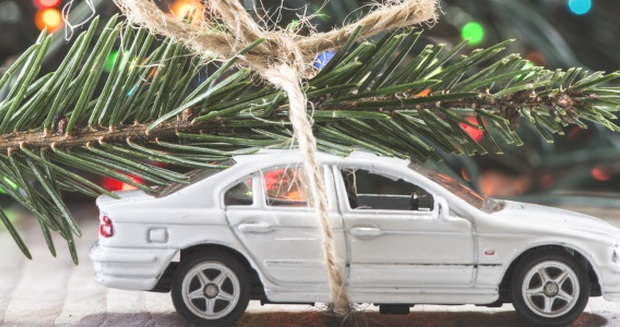 With these strategies and a little creativity, your dealership can take advantage of the holidays to meet your goals and quotas. 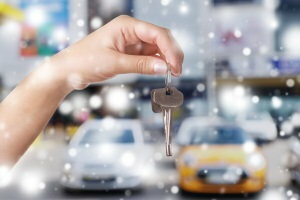 It may not be the reason for the season, but the holiday spirit can certainly be leveraged to sell cars. Auto Credit Express wants to help if your store is looking for additional ways to move inventory and boost your bottom line. Our leads, BDC, and other dealer products and services can help your dealership reach new heights. Give us a call at 888-535-2277 or fill out our online contact form to learn more!